Despite the intricacies and many disparities between the two, gold and bitcoin which can both be obtained through mining have often been compared. Tracing its progress way back in 2010, the past three weeks or so marks the longest period whereby the price volatility of bitcoin has remained lower or equal to gold prices, as revealed by data analysis done by FactSet and CoinDesk. 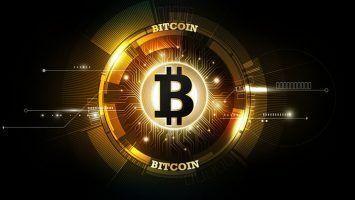 Bitcoin has gone through ups and downs with wild price swings while this technology was being established as a widely-used decentralized digital currency, and now, it appears to be more stable. Why has bitcoin’s value been so volatile? There are various reasons why the cryptocurrency fails to give confidence and convert investors, and here’s to name only a few issues. Headline news of bitcoin produced fear in investors, with top events such as the high-profile use of the cryptocurrency for drug transactions via Silk Road which was shut down by the FBI in 2013, and the bankruptcy of Mt. Gox in early 2014 that caused panic in the bitcoin world. News about security breaches, the IRS decision to call it a property asset for tax purposes, and small value option for large holders of the currency all contribute to bitcoin volatility. Though it promises a nearly frictionless method of value transfer, varying perceptions on its store of value- the function by which an asset can be saved and exchanged for goods or services and prove to be useful in the future with some predictability- is somewhat unclear as bitcoin value has fluctuated over time. The drop is regarded by some as a sign that the perception of bitcoin value is approaching that of gold as a safe store of value, providing the stability institutional investors seek. 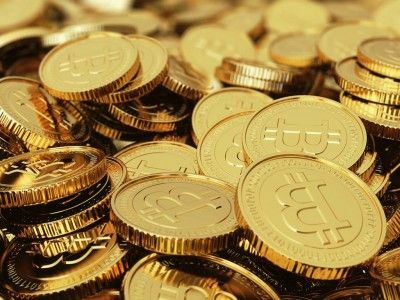 Managing director Gil Luria from Wedbush Securities, a financial services and investment firm that covers e-commerce as well as payments, said the bitcoin has taken on a comparable role to gold. Holding either investment appeals to a coinciding demographic of investors, being available as alternatives when an investor loses faith in traditional classes of assets, along with their grave concerns over today’s global economy and current monetary system. Mr. Luria adds that it has a lot to do with the perception of value. Gold used to be the sole refuge, but recent bitcoin activity has grown substantially. Wedbush Securities data show how monthly bitcoin transactions increased in great numbers, from a 200,000 count in January 2012 to over 6 million by March 2016. Many Bitcoin users prefer the electronic payment system method with its very low transaction fees, if any. For some, it’s more than a currency, rather identified as a protocol, a technological innovation, and an investment for most entrepreneurs. Blockchain estimates the amount of money in the bitcoin industry at $6.6 billion, indeed a massive sum but still dwarfed by the money put in gold investments. World Gold Council has presented over-the-counter gold market trades typically ranging between $180 and $250 billion a day. 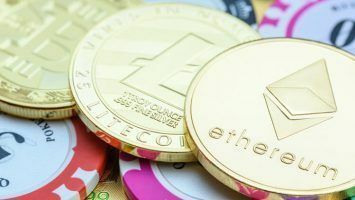 Director of Analytics Ishan Singh from TradeBlock, provider of trading tools for bitcoin and blockchain assets, said that there’s generally a holding pattern and have seen solid volumes start the year. People are still interested in trading amidst low volatility. With the relative size of the bitcoin market, the low volatility can be attributed to a move to the sidelines. 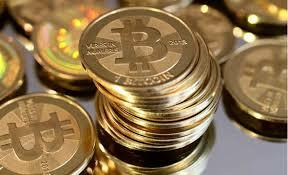 Investors await information on the broader economy and the future of the digital currency. If the less volatile price and more predictable outcome continue, perhaps people might want to use it more and the number of merchants accepting bitcoin will most likely increase. The more merchant acceptance, the more growth and sustenance in bitcoin price. Managing Director Phillip Kingston from Trimantium Capital, a financial technology-investing firm, says it could take a long time before investors get comfortable using bitcoin. The cryptocurrency seems to have achieved stability to be investable to people. However, the big difference lies in the risk. While bitcoin users love the stability it has presented recently, a commodity that’s less than a decade old given a few weeks’ time is just not enough. Stable prices may not suffice to convince investors to risk their money into digital wealth.